Sandales Thewhitebrand Holy beach silver blanc Disponible en taille femme. 37,39,40,41. . Femme > Chaussures > Sandales. 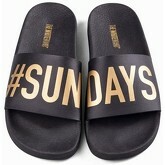 Sandales Thewhitebrand sundays black Noir Disponible en taille femme. 36,37,38,39,40. . Femme > Chaussures > Sandales. Mules Thewhitebrand Tucan white blanc Disponible en taille femme. 37,38,39,40. . Femme > Chaussures > Mules. 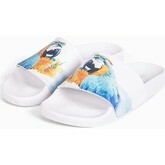 Sandales Thewhitebrand Parrot white blanc Disponible en taille femme. 36,37,38,39,40. . Femme > Chaussures > Sandales. Sandales Thewhitebrand Ooh yes black Noir Disponible en taille femme. 37,38,39,40,41. . Femme > Chaussures > Sandales. Sandales Thewhitebrand High holy beach silver blanc Disponible en taille femme. 37,38,39,40,41. . Femme > Chaussures > Sandales. Sandales Thewhitebrand High holy beach gold Noir Disponible en taille femme. 36,38,39,40. . Femme > Chaussures > Sandales. 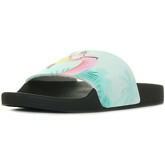 Sandales Thewhitebrand Beach Please Noir Disponible en taille femme. 38. . Femme > Chaussures > Sandales. Sandales Thewhitebrand Flamingo bleu Disponible en taille femme. 38,40. . Femme > Chaussures > Sandales. Sandales Thewhitebrand Glitter Black Noir Disponible en taille femme. 36. . Femme > Chaussures > Sandales. Ballerines Thewhitebrand Bailarina tag pink rose Disponible en taille femme. 36,37,38,39,40,41. . Femme > Chaussures > Ballerines. Ballerines Thewhitebrand Bailarina lips black Noir Disponible en taille femme. 37,38,39,40,41. . Femme > Chaussures > Ballerines. Ballerines Thewhitebrand Bailarina love silver Argenté Disponible en taille femme. 37,38,39,40,41. . Femme > Chaussures > Ballerines. 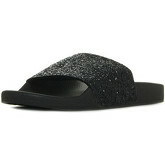 Sandales Thewhitebrand High glitter black Noir Disponible en taille femme. 37,38,39,40,41. . Femme > Chaussures > Sandales. Sandales Thewhitebrand High rafia Noir Disponible en taille femme. 36,37,38,39,40,41. . Femme > Chaussures > Sandales. 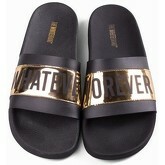 Sandales Thewhitebrand Whatever gold Noir Disponible en taille femme. 41,42,43,44,45,46. . Femme > Chaussures > Sandales. Sandales Thewhitebrand High on top gold Noir Disponible en taille femme. 36,37,38,39,40,41. . Femme > Chaussures > Sandales. 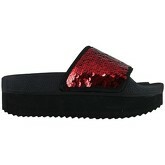 Sandales Thewhitebrand High on top rouge Disponible en taille femme. 36,37,38,39,40,41. . Femme > Chaussures > Sandales. Sandales Thewhitebrand Loafer sand gold Doré Disponible en taille femme. 36,38,39,40,41. . Femme > Chaussures > Sandales. Chaussures escarpins Thewhitebrand Stiletto soft pink rose Disponible en taille femme. 37,38,39,40. . Femme > Chaussures > Escarpins.